Zalm, a economist by occupation, worked as a civil servant and financial analyst for the Ministry of Finance from 1975 until 1983 and for the Ministry of Economic Affairs from 1983 until 1988. From 1 January 1988 until 1 January 1989 Zalm worked for the Bureau for Economic Policy Analysis as Deputy Director and became Director of the Bureau for Economic Policy Analysis on 1 January 1989. Zalm became a professor of economic policy at the Vrije Universiteit Amsterdam on 1 February 1990. After the election of 1994 Zalm was asked to become Minister of Finance in the Cabinet Kok I, Zalm accepted and resigned as Director of the Bureau for Economic Policy Analysis and as a professor the same day he took office as the new Minister of Finance on 22 August 1994. Zalm remained Minister of Finance in the Cabinet Kok II following the election of 1998 and served as a Member of the House of Representatives from 19 May 1998 until 3 August 1998. After the election of 2002, Hans Dijkstal the Leader of the People's Party for Freedom and Democracy announced his resignation after a disappointing result in the election and stood down as Leader of the People's Party for Freedom and Democracy on 16 May 2002 with Zalm elected to succeed him. Zalm served as the Parliamentary leader of the People's Party for Freedom and Democracy in the House of Representatives and a Member of the House of Representatives from 23 May 2002 until 27 May 2003. For the election of 2003 Zalm was the Lijsttrekker (top candidate) and won four new seats in the House of Representatives. After a formation period a coalition agreement with the Christian Democratic Appeal (CDA) and Democrats 66 (D66) was made which formed the Cabinet Balkenende II. Zalm became Deputy Prime Minister and Minister of Finance serving from 27 May 2003 until 22 February 2007. Zalm served as Minister of Economic Affairs from 3 July 2006 until 7 July 2006 following the resignation of Laurens Jan Brinkhorst. Zalm retired from active politics at the age of fifty-four. Following the end of his active political career, he became active in the finance industry. Zalm was a financial adviser for the DSB Bank from 1 July 2007 until 1 January 2008 and served as chief financial officer of the DSB Bank from 1 January 2008 until 1 January 2009. Zalm became a corporate director for ABN AMRO serving from 23 December 2008 until 28 February 2008 when he was appointed as CEO and Chairman of ABN AMRO. On 1 April 2010 he became interim CEO and Chairman of Fortis Bank Nederland until it was integrated into the new ABN AMRO Group on 1 July 2010. Zalm served as CEO and Chairman of both ABN AMRO and the ABN AMRO Group until his retirement on 1 February 2017. Zalm is known for his abilities as a manager and consensus builder. He holds the distinction of being the longest serving Minister of Finance. Following his graduation from high school ("HBS-A" level) in Enkhuizen, Zalm began a study in economics at the Vrije Universiteit in Amsterdam, from which he graduated in 1975. In the same year he joined the Ministry of Finance. From 1983 he worked for the Ministry of Economic Affairs, where he eventually became a director. In 1988 he was appointed deputy director of the Centraal Planbureau, a state institution that, among other things, calculates the financial effects of government plans. In 1989 he became director of this institute. In that capacity Zalm had, although not formally a politician, a significant influence on politics. From 1990 he also gave lectures at the Vrije Universiteit. 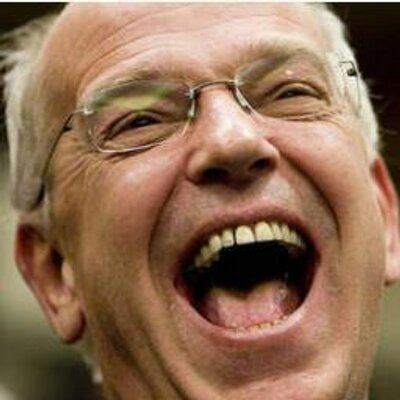 Between 22 August 1994 and 22 July 2002, Zalm, member of the People's Party for Freedom and Democracy, was Minister of Finance in the first and second Wim Kok administrations. The Dutch economy being very healthy during those years, he did not experience large difficulties. 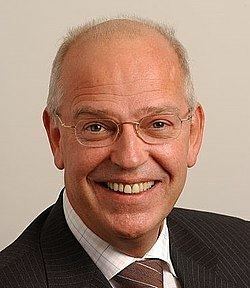 However, he did introduce certain standards that are in effect until now, among which the Zalmnorm (Zalm standard) which describes a state policy by which the state does not respond extremely to economic fluctuations but just counteracts them.During the first, short Balkenende administration, Zalm was the acting leader of the People's Party for Freedom and Democracy group in parliament. On 27 May 2003 he started his third term as Minister of Finance, in the second Balkenende administration, also serving as Deputy Prime Minister. On 30 June 2006, he succeeded Laurens Jan Brinkhorst as Minister of Economic Affairs, ad interim, with most tasks delegated to Undersecretary Karien van Gennip. On 7 July 2006 Joop Wijn was appointed as the new Minister of Economic Affairs. 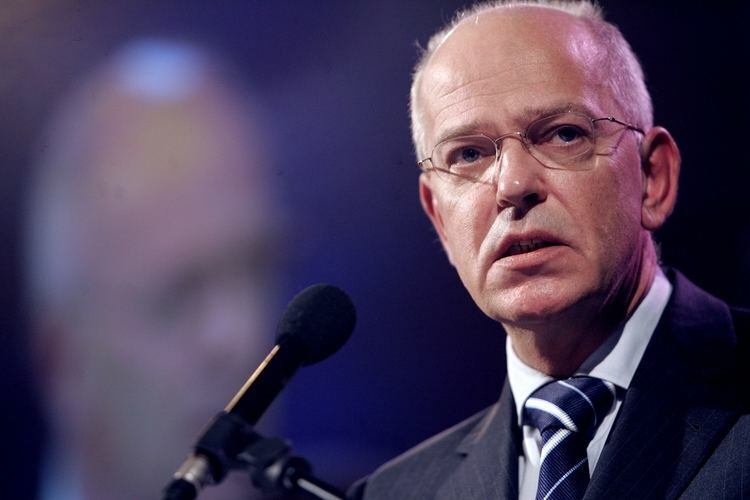 On 26 November 2006, Zalm announced in the Sunday morning talk show Buitenhof that he would step down from politics and would probably seek employment in the private sector. Three months after his 2007 retirement from politics, Zalm went to work for DSB Bank, a company that he had criticized in his earlier role as finance minister for what he considered misleading advertising for consumer credit. He initially held the position of chief economist, but quickly became CFO of the faltering bank after the Dutch central bank DNB had threatened to curtail DSB's financial autonomy. 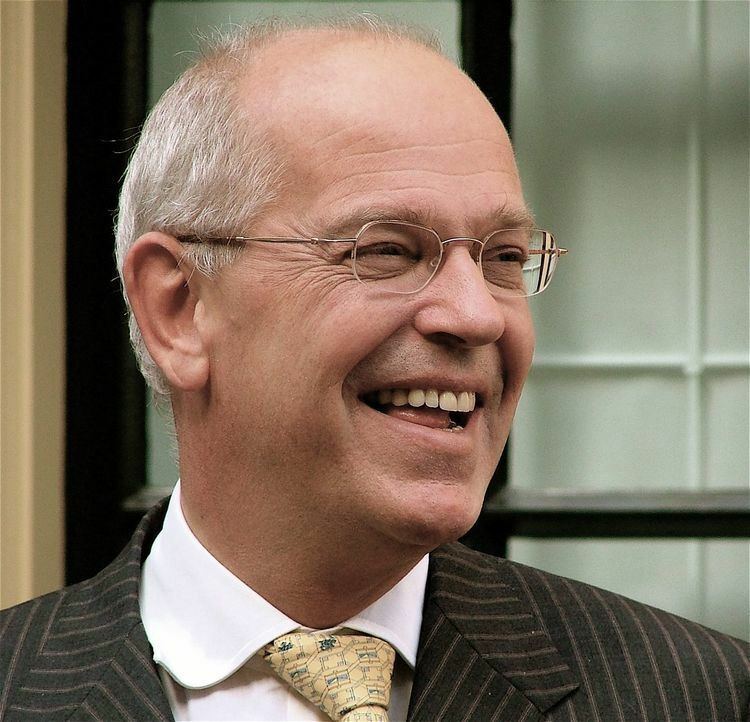 On 21 November 2008 it was announced by Prime minister Jan Peter Balkenende that Zalm will be the new CEO of the bank resulting from the merger of ABN and Fortis Netherlands, two recently nationalized banks. This new position came under scrutiny after Zalm's previous employer DSB went bankrupt in 2009. 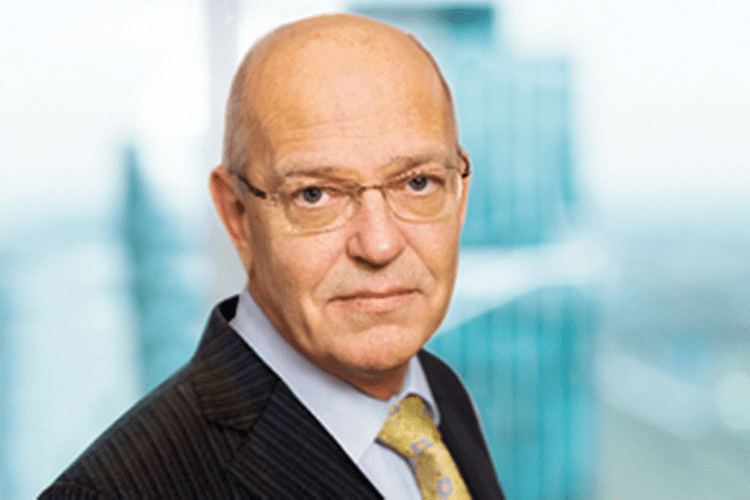 The Netherlands Authority for the Financial Markets (AFM) and the central bank both investigated Zalm's role in DSB's final years, with AFM concluding that he was "not competent" and should be dismissed from ABN AMRO's board, while DNB decided to keep Zalm in his position. Zalm is a fan of Pinball and during his second term as Minister of Finance he had a pinball machine in his department. He is an honorary member of the Dutch Pinball Association. In 2004 he had a cameo appearance in the movie Cool! of Theo van Gogh.